When I went on my last trip to Italy of course I had to take a little trip to Sephora. I knew I wanted to pick up my favourite product which they sell their own brand concealer. I also had saved a little bit of money as I know I always want to treat myself to a few things whilst shopping in the store. I did really well and I usually only buy Sephora own products or brands that I know I can't get hold of easily in the UK. The Sephora high coverage concealer was a big hit with bloggers a few years ago, and I don't think it is really talked about as much as a must-have product anymore. However, for me it is still a holy grail concealer. It has definitely gone up in price over the years but at €14 (£12) it is still good value for money. I love the consistency of this as it is very creamy and light to apply on to the skin. The coconut water rubber mask is enriched with coconut water extract, the powder mask transforms into a bright rubbery dough when mixed with water. It works in just 5 minutes to relieve the discomfort or dry skin and reducing signs of dehydration. When the mask is dry you simply pull it off your face to hopefully reveal skin which is quenched and comfortable. I can't wait to try this it sounds amazing but for €3.90 I hope it does wonders as it is a one use only product. I have tried many cream lip stains from Sephora in the past, and I have always been so impressed with their pay off and pigmentation. 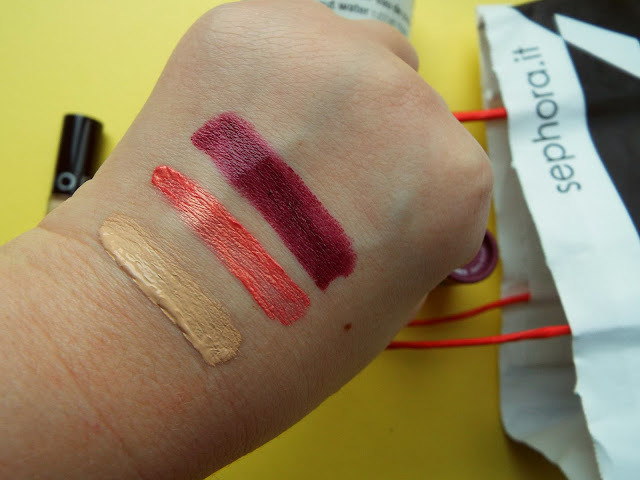 I was intrigued to try this cream lip stain from their metals range (€10.90). I picked up the shade fancy peach (115) which is a beautiful metallic rose. On first impressions it is soft and smooth when applied to my lips, and I love the colour pay off. It is an ombre shade of a muted rose pink which is a lovely neutral colour which adds some definition to my lips, with a gold light shimmer running through it. These dry down quite matte, but are budge proof which is exactly what you want from any liquid lipstick. 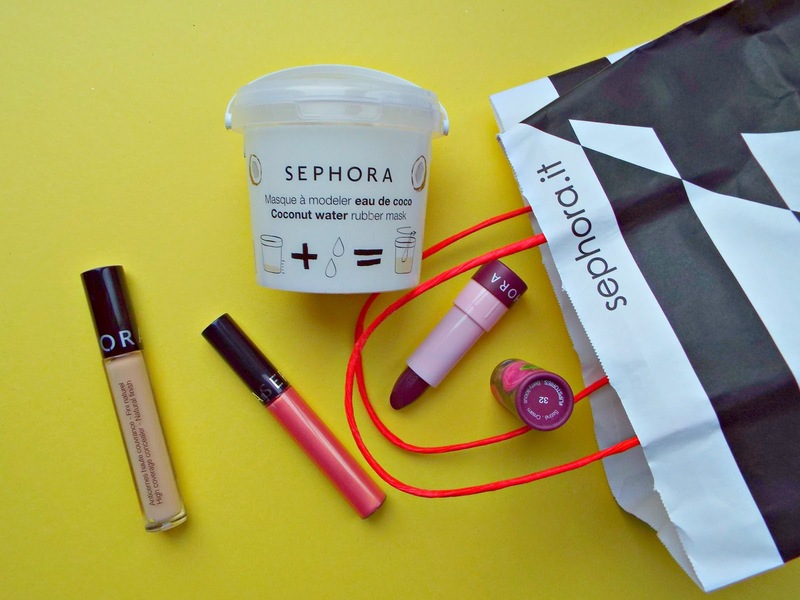 The Sephora #lipstories range seems to be a big hit within their line. I think they release different colours and finishes of these each season and they are one-off exclusives. I picked up the shade berry-licious (32) which has a satin cream finish. Once again on first impressions this is really soft when first applied to the lips. I don't usually use dark toned shades, but on the lips I really like this. It is very much a vibrant red grape, and I love it on me. This is perfect for that "can't be bothered to really do my makeup, but I will stick on a bright lip to make up for it" kind of day. I don't think this going to be completely smudge-proof as even on swatching it is easy to smudge, so I think after eating and drinking it could potentially end up all over my face. I think at €8.90 these are well priced as they are really well pigmented and I only need one layer to achieve the colour pay off I like. 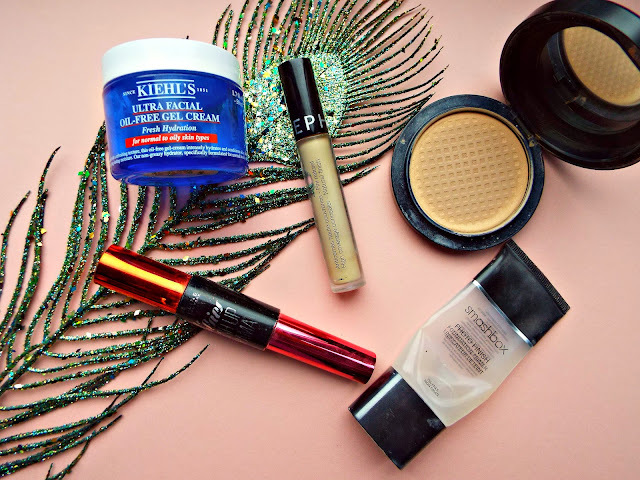 This is my second tub of this which I have used up this year, the Kiehl's ultra facial oil-free gel cream is the first moisturiser in years that I have really got on board with. I have since bought my third tub as I am scared to invest in anything else in case I don't like it. It is not cheap as this size tub costs £24.50, but it lasts me a good 4 months and I use it literally every day. It is advertised to be must suited to normal to oily skin types, but mine has been dry and it has still worked really well. It is light and feels lovely and refreshing when applied, I really do recommend it and I have done to many people. I remember years and years ago this Smashbox photo finish primer was a must have product for many beauty bloggers. I was always a bit sceptical as it is expensive and I was never sure about the silicon consistency. It is oil free but as expected I did not love this on my skin, it felt a little greasy. In terms of being a primer I get the reason why people like it, it preps the skin well before application of base products. However, like I say the consistency felt a little oily and I did not like the texture on my skin. I won't be repurchasing this, as I now know I much prefer a cream/liquid primer consistency. I bought my first Sephora high coverage concealer years ago on one of my very first trips to a Sephora store. Every time I have been on holiday and there has been a Sephora store I have ensured that I have added one to my basket. They don't seem to last me very long, but it contains 3.4ml which is the standard amount. I love the flat ended applicator on this as it makes it so easy to apply to the exact areas you want, I then use my damp Beautyblender to blend it into my skin. This has been a long standing MAC must have in my collection. I remember buying my first MAC skinfinish powder when I was about 17 and every single beauty expert was saying it was a must have in your collection, and thank god I got on board with the hype. 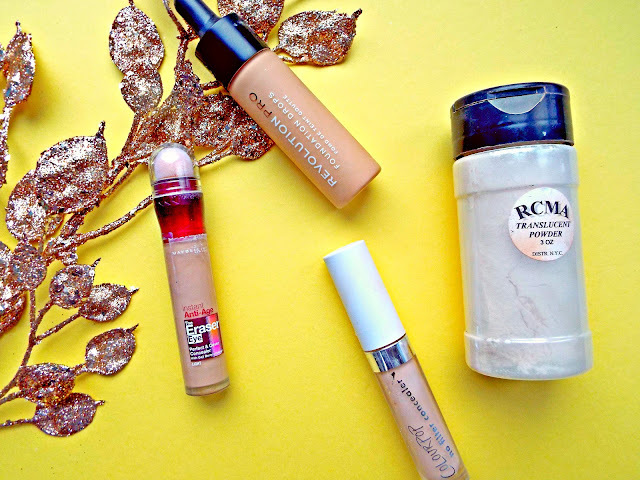 I buy one a year and it tends to last me well, when my skin is really dry I do not use much, if any powder as I find it sets my dewy base which I have tried so hard to achieve a little too much. If you are a little bit oily or are needing to set any areas this is a fantastic powder. It is finely milled and you can add just the perfect amount of product. Even though I love wearing mascara, when I go beauty shopping it is the one product which excites me the least. I bought the Maybelline falsies push up drama mascara when it was first released, I bought it on an introductory offer as my last mascara had just ran out and I tend to buy them one at a time when I need one. I usually like a brush with a bit of curl and I think this is what this lacked. I used my own eyelash curlers to add some natural curl to my lashes before applying this. I like how spread out the bristles are on this brush as it coats each lash from root to tip. I like it but I didn't love it, I then tried L'Oreal's paradise mascara and liked that more due to the curve of the brush. I went to my final dermatologist appointment with the happiest smile on my face. It sounds like complete madness but I feel like my days of roaccutane seem like a life time ago and having acne seems like it never happens. Even typing that sounds so surreal as I can vividly remember in an instance how I felt starting roaccutane and how I wasn't that hopeful. 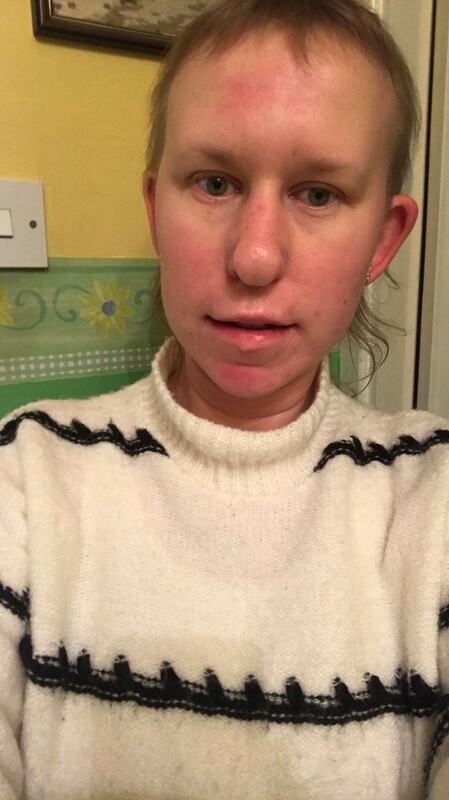 I had lived with acne for 11 years and it was just a part of me. Sometimes I sit and look back at my photos from February and remember how I felt on that first day of my dermatologist saying he would finally start me on it. 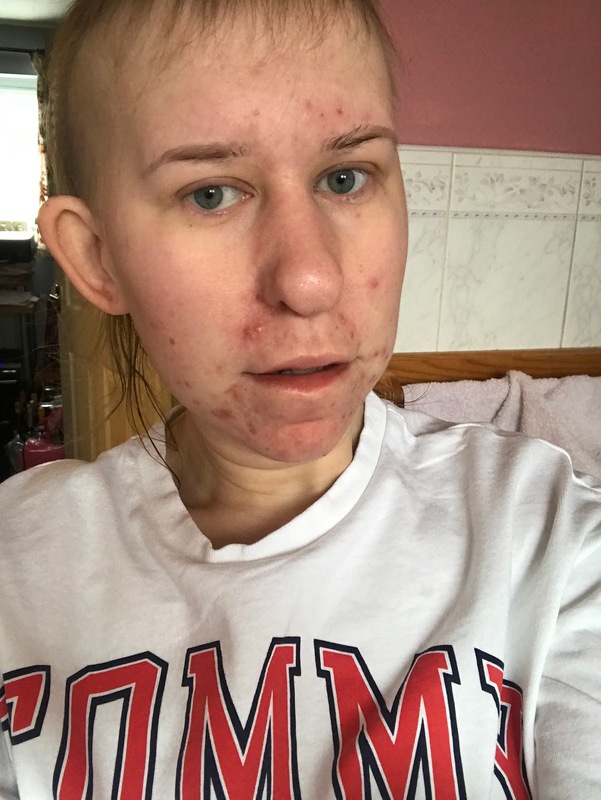 I took these photos on day 2 of roaccutane and I am so glad I did as you can clearly see the scale of my acne and that underneath all my pretty makeup, my acne really had taken over my entire face. 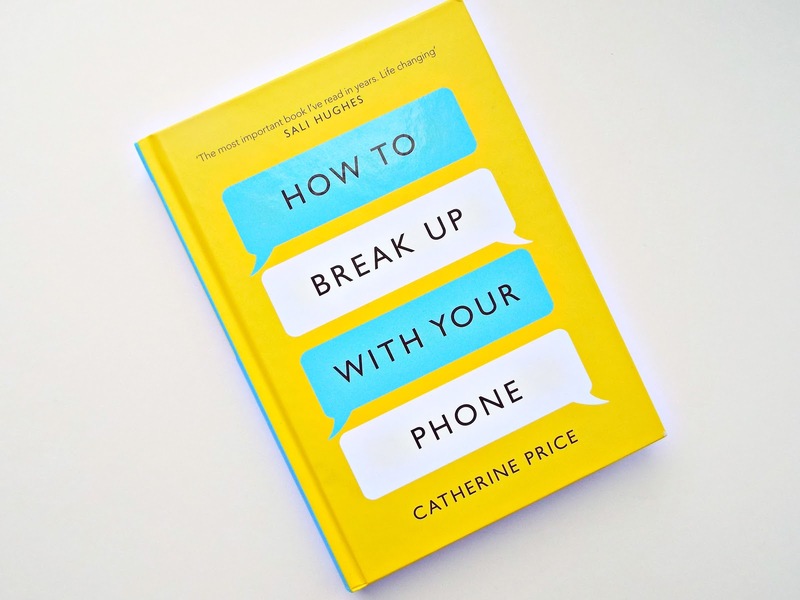 I remember for the first time being really determined that this was going to work for me. These pictures were taking in Jersey when I was on my holidays with my parents. Seeing as this was was 2 months into the treatment I remember feeling like my skin was possibly improving and then all of a sudden I got this row of large spots on my forehead and they were huge. I felt like I had taken about 10 steps backwards. 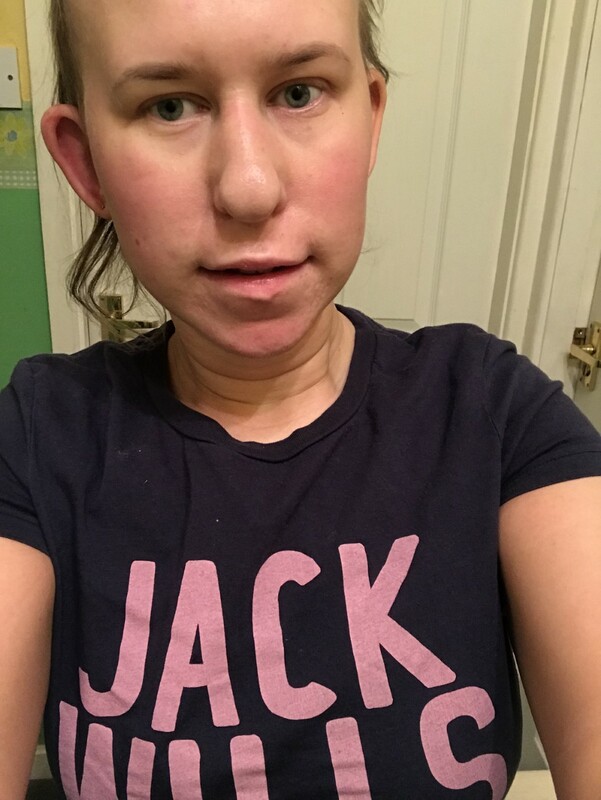 I took this picture in June and I remember looking at this and being able to pinpoint that this was the time when I was starting to actually feel as though my skin was getting better. I went to my month 4 appointment and I feeling great and determined to carry on. However, this was when all of the side effects had well and truly kicked in and my lips were like the sahara desert. I was getting headaches and my skin was so dry nothing was helping. My chin has always been the areas where my acne has been the worst and that was the area where I was seeing improvement. However, I was still getting a collection of pesky spots across my forehead and around the edges of my lips. 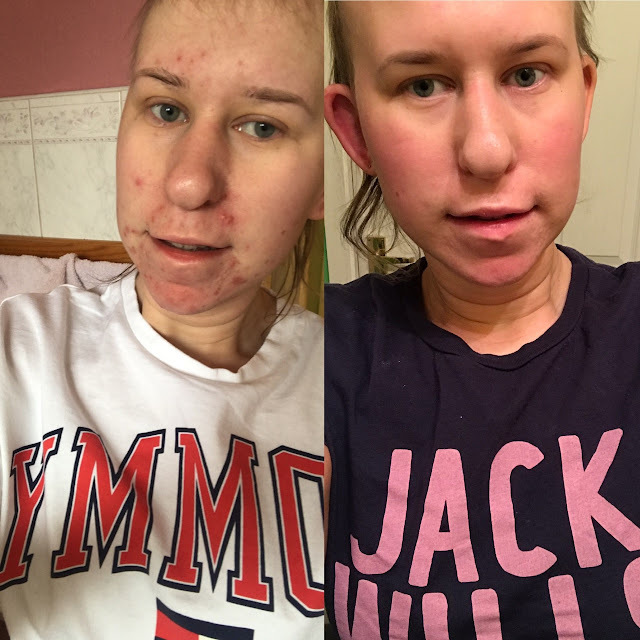 I couldn't find a close up picture from in August but after being on the treatment for 6 months my skin was so much better. Out of my 14 days on holiday in Madeira I think I only wore makeup twice. 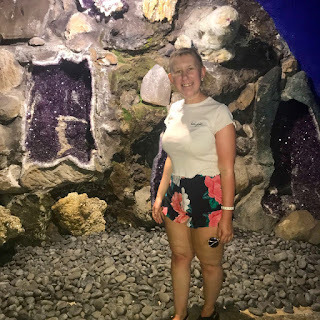 I remember going on this day out to this these beautiful botanical gardens and knowing I would want some insta-worthy pictures, but also knowing it was a boiling hot day. I remember at this point I had not had any new major spot in weeks and my skin was just holding onto the left over rough reminiscence of old spots that were not for leaving. I did have to wear factor 50 this entire holiday as my skin could not take more than an hour in the sun. I felt like I was continuously burning no matter how much suncream I applied. 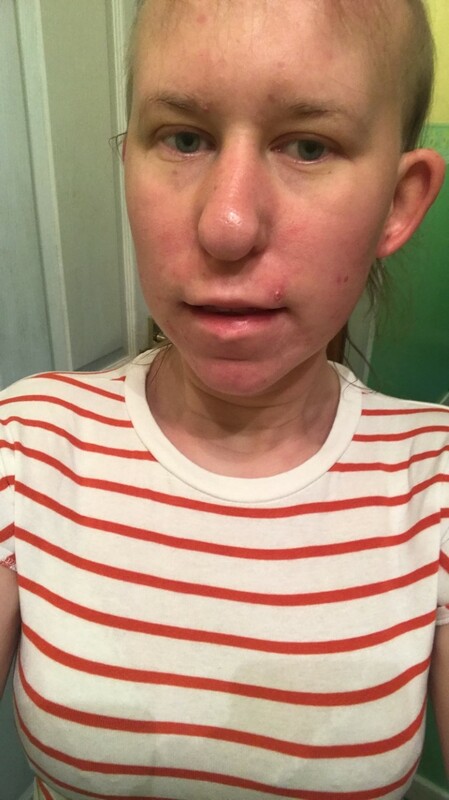 I took this picture the day before I went to my last appointment on roaccutane. 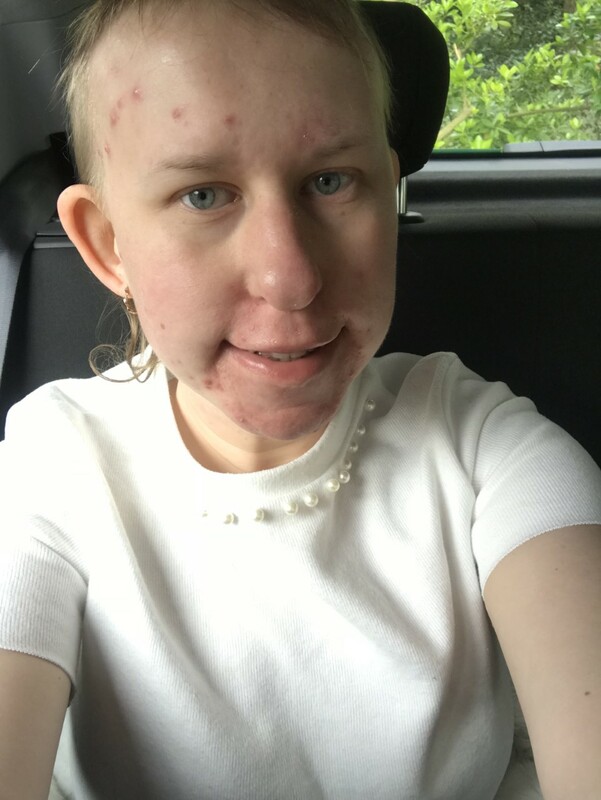 I went into the room with the biggest smile and as discussed in my last post I had three weeks left of roaccutane. 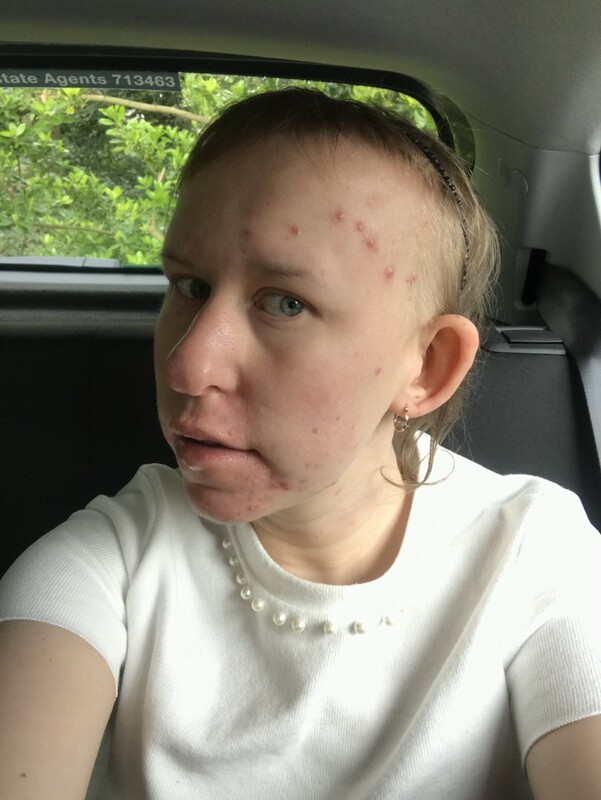 However, I had been very emotional and was not feeling myself at all so on the 10th October 3 days after this picture was taken I decided to stop taking roaccutane all together. 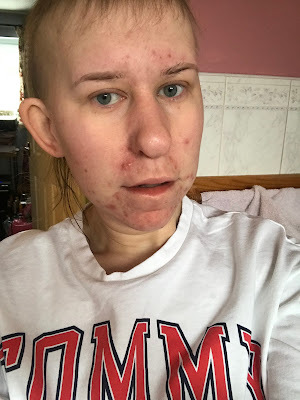 I was scared but the dermatologist said I had had a good period of time with being happy with my skin and not having any breakouts so it was time to see how my skin now coped. As expected I was so nervous and the last time I took a tablet I also stopped taking my pill which I had been on for the entire 8 months. I felt as though I wanted my body to completely hormone free for the first time in what felt like forever. 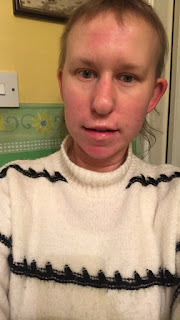 This photo was taken on the 23rd December, and I am soooooo happy to report that since finishing the treatment I have only had one tiny pesky red spot which has now disappeared. I know it sounds silly but I was convinced that my spots would return and I would be back to square one. There is no denying that my 2018 had pretty much been consumed with roaccutane but wow am I glad I finally took the plunge. If you want to catch up on my entire roaccutane journey you can read my before, starting, month 1, months 2-3, months 4-6 and finishing posts to see the entire process.